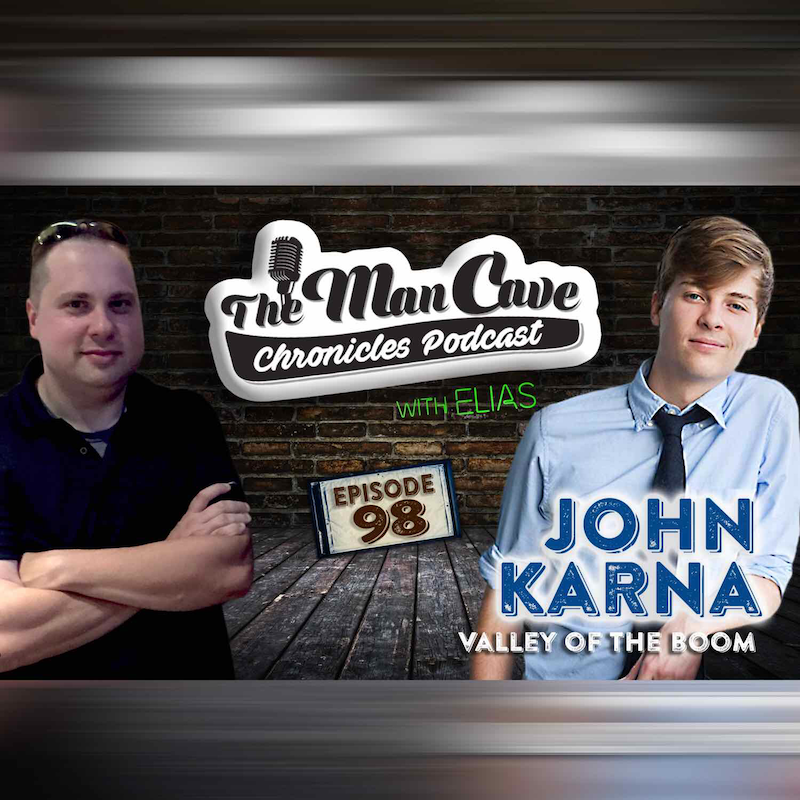 John Karna joins host Elias on this week’s episode. John recently starred in Valley of the Boom which premiered on National Geographic. John plays the role of Marc Andresse. VOB is an American docudrama television miniseries, created, directed that premiered on January 13, 2019. The series centers on the 1990’s tech boom and bust in Silicon Valley and it stars Bradley Whitford, Steve Zahn, Lamorne Morris, John Karna, Dakota Shapiro, Oliver Cooper, and John Murphy. In just the opening credits of this series, John gets to introduce not only the character he gets to play in the tech boom of the 1990s, but he actually gets to freeze the frame and introduce himself as an actor. His captivating energy and this different element to filming are so unique. You also remember him from MTV’s Scream as Noah Foster. We talk about Valley of the Boom, Scream, his career and more.